Join us for an intimate evening with one of the most renowned black metal musicians in history, as we celebrate the very best in wild and traditionally fermented food and drink as part of week of events curated by Sponfest. Kristian ‘Gaahl’ Espedal is best known as the lead singer of legendary Norwegian band Gorgoroth, Gaahl’s musical history is as deep as his knowledge and love of wine. 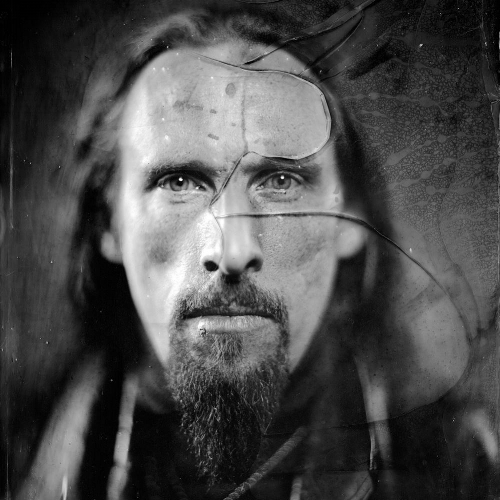 Involved with acts such as Wardruna and God Seed, Gaahl’s passion for the pursuit of nature in its truest expression is undoubtedly a leading factor in his relationship with wildly fermented produce. Gaahl will be hosting an exclusive introduction to natural wine on April 17th at Hackney’s TT Liquor, joined by one of Bergen’s top sommeliers Niklas Kleppe, the duo will be guiding visitors through their hand-picked list of 8 wines from some of Europe’s most exciting and famous producers such as Jean-Pierre Robinot and Patrick Bouju. Gaahl & Niklas will also be giving a brief introduction to what natural wine is, where and why their passion has evolved from, plus an in-depth chat with all attendees about their thoughts. Tickets cost £35 which includes a tasting of all 8 wines on offer and nibbles throughout the evening. Numbers are extremely limited with only 30 tickets being released, so whether you are a natural wine newbie, a seasoned pro or a just a fan of the man make sure to act quick!